I was reading about a new trend that was seen at Paris fashion week that’s absolutely ridiculous – the teeny, tiny, miniature handbag! At first the bags were sent out as the invitation to the show – a great idea! But now the company is making them to sell. You could invest in a Jacquemus Mini Le Chiquito bag for £400, but currently they are all sold out. I know you really need one now though, so why not make your own! 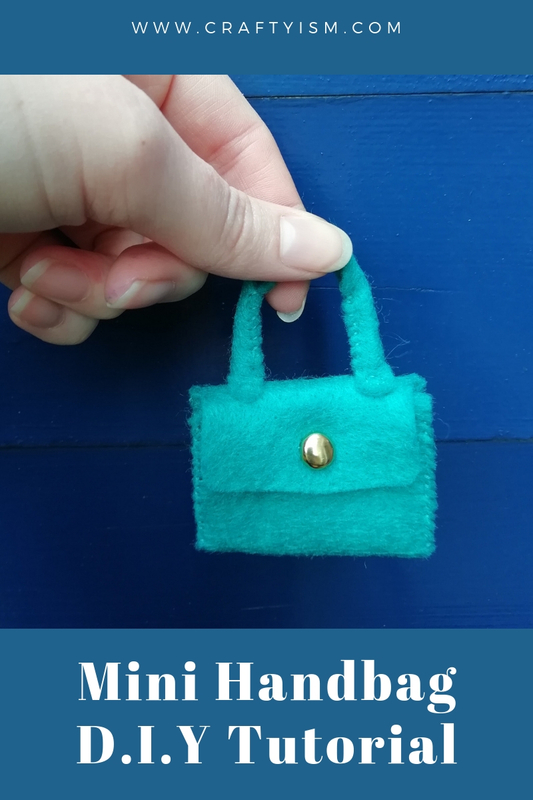 Keep reading to find out how I made my own pointless miniature handbag, and how you can make one too! Our inspiration – the Jacquemus Mini Le Chiquito bag! Cut around the solid black lines on the paper template to get your pattern pieces. 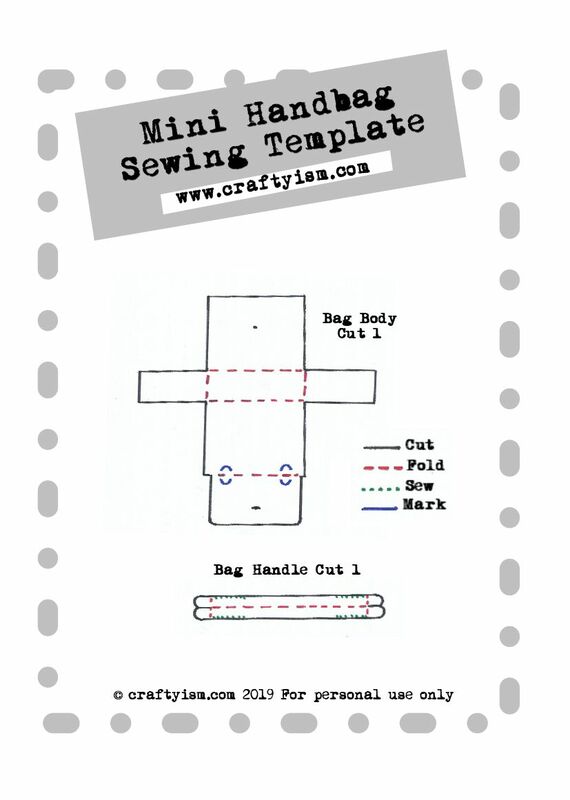 Draw around these pieces onto your felt (remember to include any placement marks). Then cut out your felt pieces. Fold the handle in half and sew along the join at each end from the points indicated on the pattern. Flatten the tabs at the ends of the handle and place over the marks at the top of the main bag piece. Sew the tabs in place, making sure the sewn sides of the handle are pointing inwards. For the closure, insert a split pin through the small hole made on the front panel of the bag. Open it up so it lies flat on the inside. This should line up with the small cut made on the flap. You can slide this over the pin to close the bag. Imagine how heads will turn as you strut down the street with your very own miniature handbag. You are now officially a fashionista! Inside mine I will keep; a £2 coin, a polo mint and a tiny key to a very small door! I’d love to know what you would keep in your miniature handbag, and what outfit you would pair it with!